Personalized Irish Clover Vintage Tavern Man Cave Bar Pub Sign. This Personalized Vintage Tavern and Pub Sign. 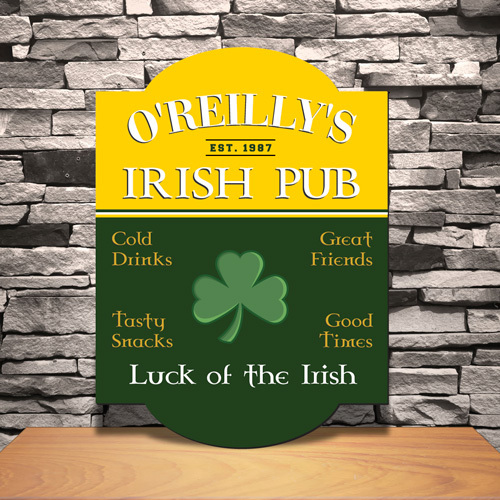 From Irish taverns to sports bars, there’s a sign to fit any man’s style. This personalized gift looks great on the wall of your office, home bar, den or Man Cave, pool room, over the bar, or to hang on the wall of his bachelor pad! Made of sturdy composite base. Measures 11.5" x 15.4". Personalized with first name, and year established.